The Collected Poems of W.B. Yeats, is an anthology of Yeats’s poems that are subdivided in different sections by their theme. 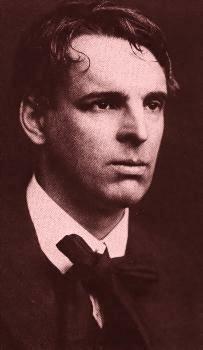 Yeats’s poetry has a reoccurring theme of coming of age. In his, “Last Poems”, Yeats conveys this sort of maturation or understanding through themes of life and death. He saw and felt around himself the unchangeable order of dying and fading of temporary things. He was disillusioned by this element of mortality in the world and wanted to find something permanent or immortal. In Yeats’s poem, Under Ben Bulben, Yeats comes of age as he leaves the world of reason and embraces the spiritual world of eternity. He incorporates a certain metaphysical element into the poem to express this spiritual world. Throughout the poem, he uses art as a gateway to heaven and ultimately a gateway to his coming of age.